Google lets you make free phone calls anywhere in the US or Canada for the rest of 2011. Works great! All you need is a free Gmail account. Browse to Gmail and click, Call a Phone on the left side. Obviously you need a mic and speakers but most laptops in the last few years have these built right in. Of course you need an Internet connection and a compatible headset. Then download free app Talkatone and signin to your Gmail account. Calls to other countries and after 2011 will be at discounted rates. Google Voice is amazing. We’ve been using it for about 2 years now and not sure how to live without it. You get one number to give out. That number will ring any of your predefined other numbers. Example 1: Let’s say you’re a real estate company. At night you could call forward your main number to your Google Voice number. It would then ring ALL your agents until the first one picked up. Example 2: Let’s say your organization has an “on call” doctor for emergencies. Instead, use a Google Voice number that rings all doctors at once. Of course you could simply use for personal use – your number rings your cell, work, house, etc. Google Voice has been in a closed beta for years now (previously Grand Central). Recently Google opened the doors to allow anyone to join. However, you have to sign up for an invitation. It then takes a few weeks or months to get OK’d by Google. Best part? Google Voice is free! Watch the video or signup now. Circuit City was going out of business, but CircuitCity.com is now up and running again. They were acquired for $14 million and re-launched online only. Interesting business direction. You can get a USB adapter that plugs into your cigarette lighter in your car. They can be extremely useful. I just got one the other day and I love it. 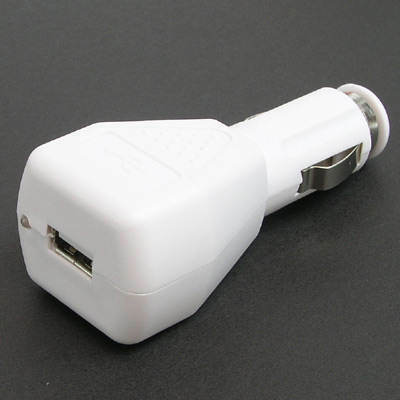 Use it to power or charge your MP3 player, GPS unit, camera, etc. My BlackBerry uses a standard USB cable so I charge my cell phone battery. Don’t buy the proprietary $30 chargers for EACH device. If your electronics have power options via USB, just power it with the cigarette lighter USB converter. Send a text message to GOOGL (46645) like, “Chinese restaurants, Times Square” or “Weather 29649” or “Define plethora” or “directions from 29649 to Atlanta, GA” and you’ll get a text message right back. Don’t forget about Jott.com. I emailed once already about this (http://www.digitaloffice.com/tips/?p=9) and it really is a hidden jewel. Dial Jott and it will send your transcribed chat to yourself or others. Easy for reminders! We’re not all “txting” yet (properly known as SMS). If you want to send a text message to the kids, a friend, or associate and don’t have twiddle fingers on your cell phone, just email the text! Create an email to one of the addresses as specified in that link. If it says, number@txt.att.net, replace NUMBER with the 10-digital number. For example, 8641231234@txt.att.net. If your sending to a Verizon customer, use: number@vtext.com. Compose your email, but don’t write too much. SMS’ can typically only send/receive a max number of letters (about 160 characters). Send away! Your recipient should get your text message in a few seconds. Have you ever missed a call from a phone number you don’t recognize? YouGetSignal offers a simple way to determine geographical location and sometimes, if it is a landline or cell. Visit http://www.yougetsignal.com/tools/phone-location/ and type in the full phone number (with area code). YouGetSignal also sports several other advanced tools. Check the navigation buttons on the left. 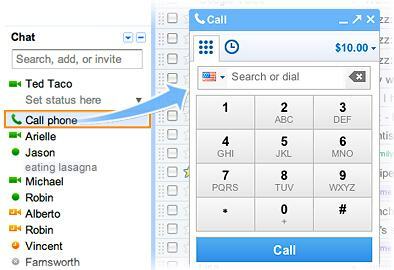 Don’t forget you can always type in a phone number in Google (with area code, no spaces or hyphens) to get caller ID information (mostly only works with listed landlines).